During winter, have you ever come across any tiny round or oval fruits measuring 2 to 5 cm long, which look like oranges and can be increasingly found in grocery stores? These are kumquats. Unlike other citrus fruits, they can be eaten with the skin, which is soft and slightly tart. 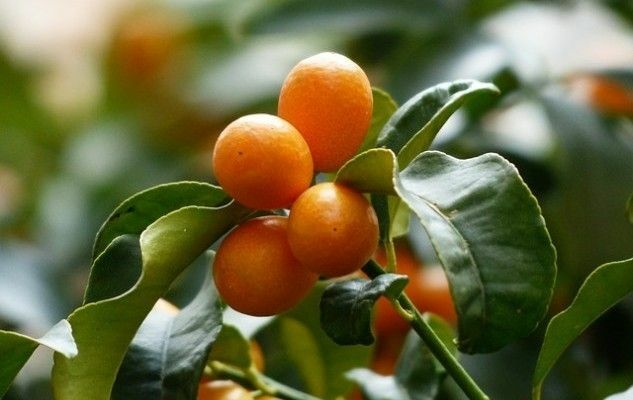 Native to Southeast Asia and China – as a matter of fact, the name “kumquat” is derived from Cantonese and literally means “golden orange” – this fruit was introduced first in Europe in the mid-19th century and then in North in America. Unlike other citrus fruits, the kumquat plant is quite hardy and can withstand temperatures of -10°C. Cultivated all over Asia, it is also grown in the southern states of the United States. The Kumquat Festival is held annually in Florida near Tampa, to celebrate this fruit. In France, it is cultivated in the region of Toulon. Like all citrus fruits, it is rich in vitamin C. You should choose fruits that are fleshy and shiny, with a firm and unblemished skin. Originally published in the Journal de Montréal on February 20, 2014.